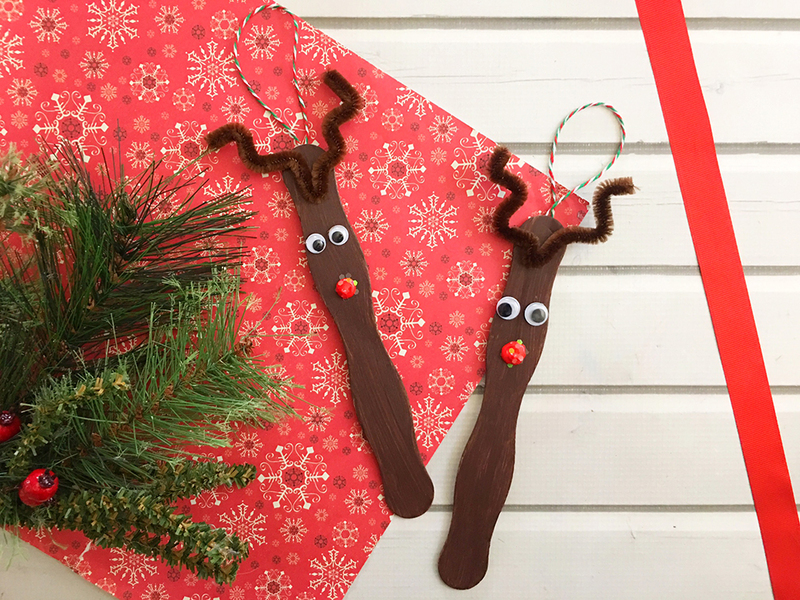 Craft Stick Reindeer Ornaments are an easy and fun Christmas craft to do with the whole family. 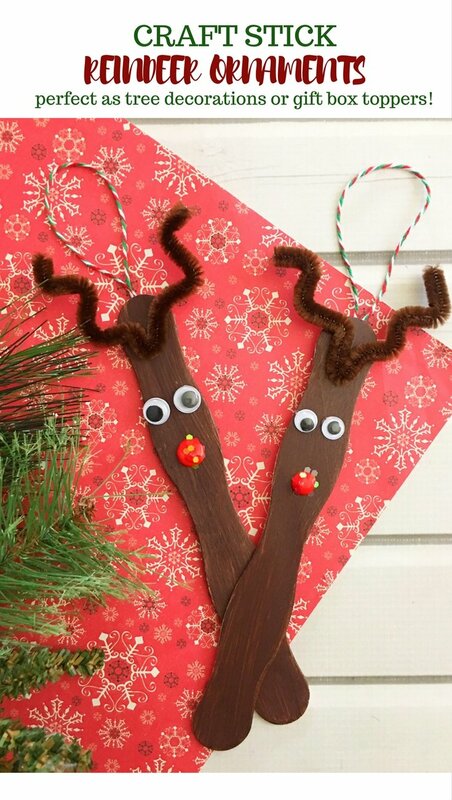 Super adorable as tree decorations or gift package toppers! 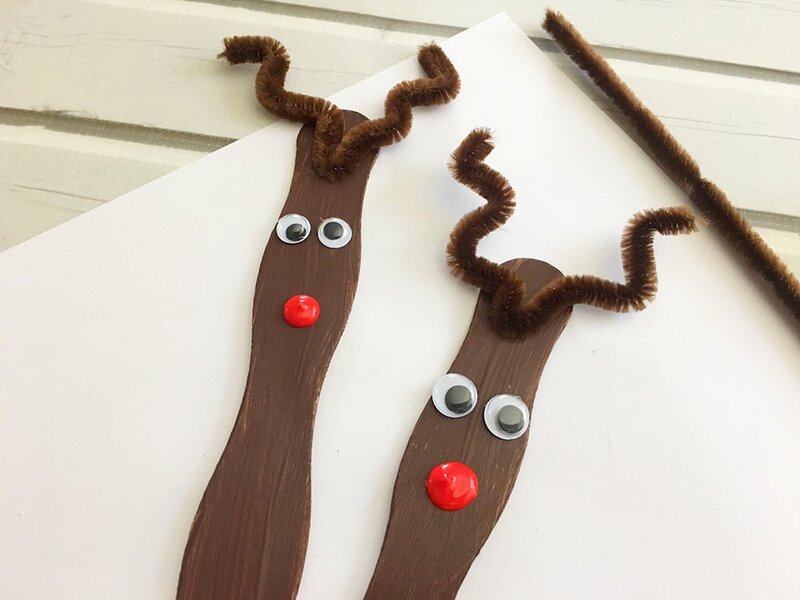 I’ve been posting Christmas crafts and DIY decors since October and have quite a few more to come in the next few weeks but these craft stick reindeer ornaments are definitely my favorite. Aren’t they the most adorable thing you’ve ever seen? 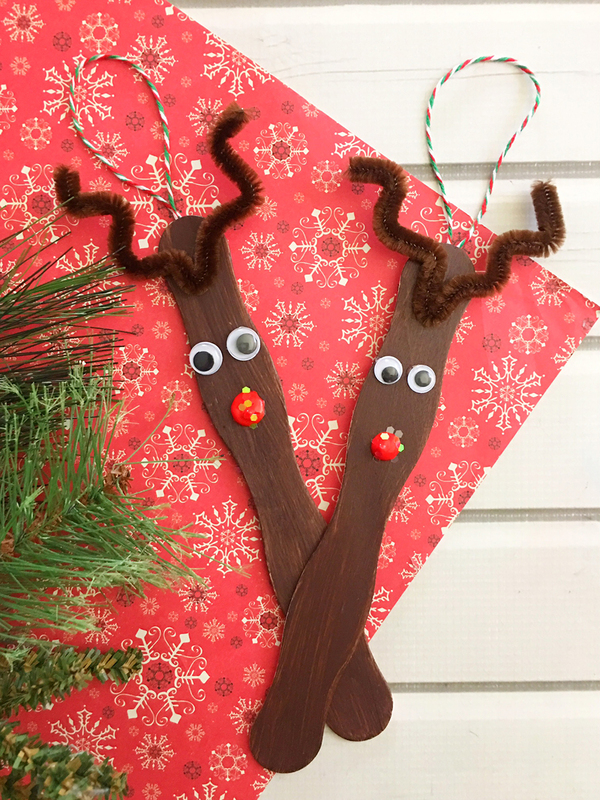 Reindeer craft stick ornaments are so easy and fun to make, they’re the perfect family winter craft. 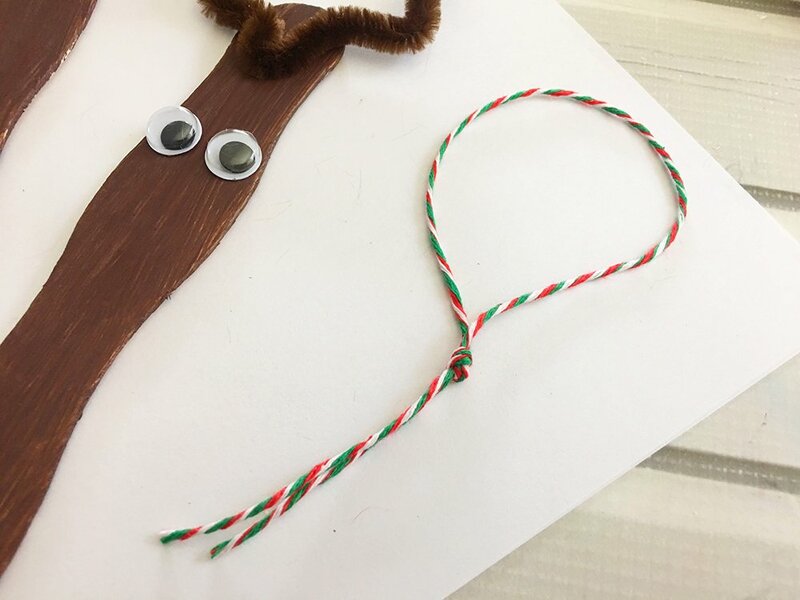 Your little helpers will have a blast putting together Santa’s favorite helper! 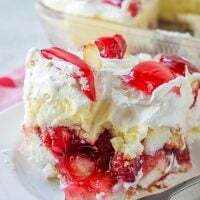 Make sure to make a lot, everyone loves Rudolph! Use them as tree decorations, gift box toppers, or stocking stuffers and watch their faces light up with holiday cheer. Lay out a piece of newspaper or scrap paper to catch paint spills. 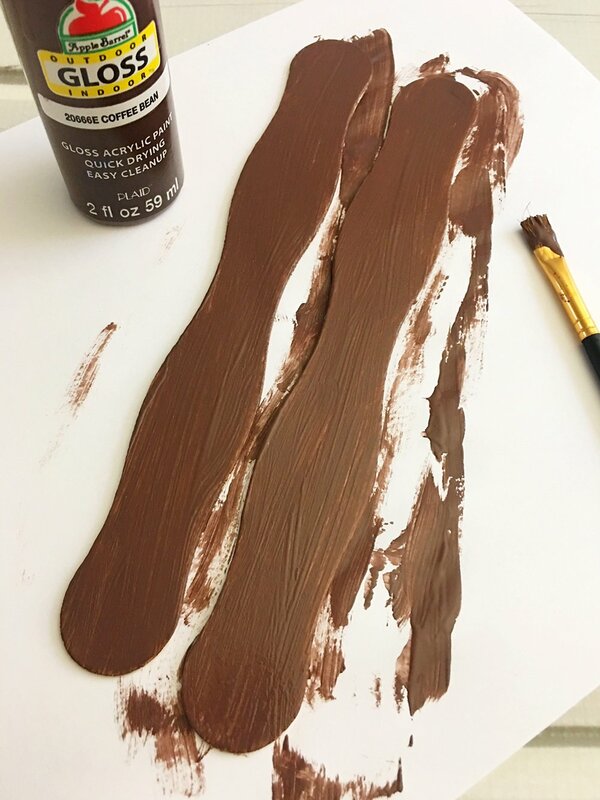 Paint a craft stick brown and let dry. 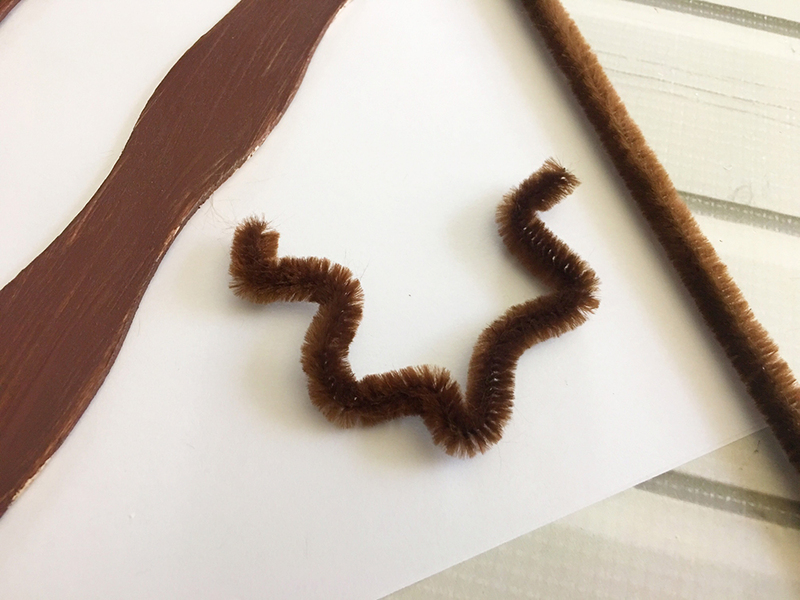 Cut a pipe cleaner in half, fold one of the pieces in half and bend the ends to look like antlers. 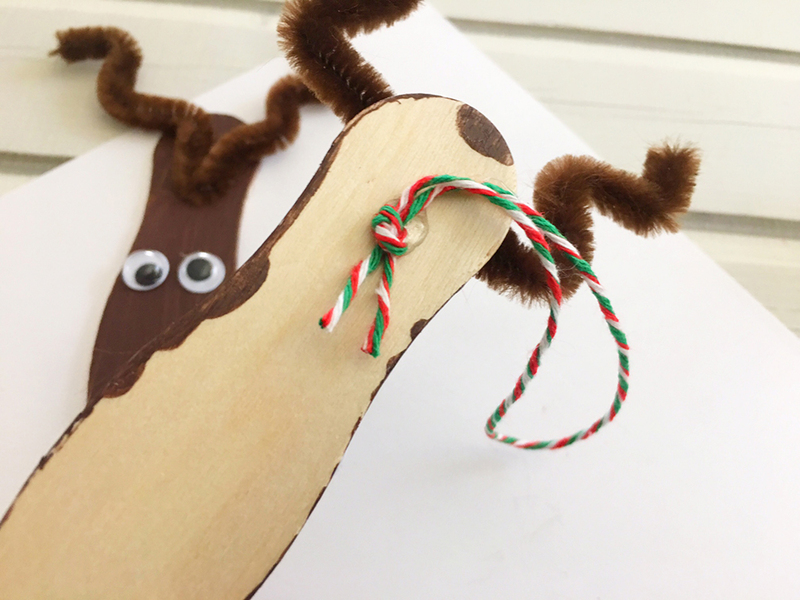 Glue the antlers to the top of the brown craft stick and glue two small googly eyes about 3/4″ below the antlers. Tie a 6″ piece of Christmas twine into a loop. 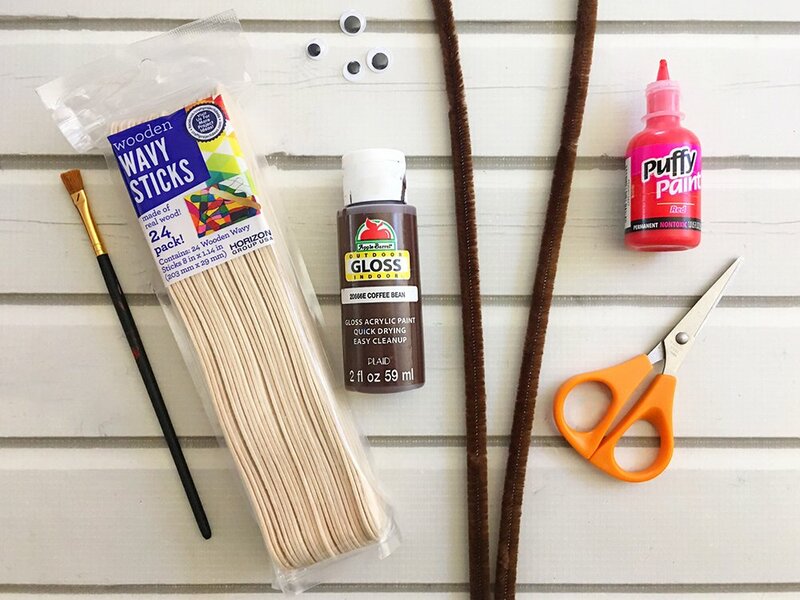 Glue the twine loop onto the top backside of the craft stick. 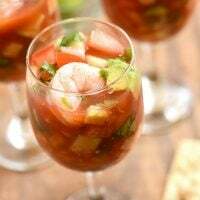 Use red puffy paint to put on a nose below the eyes. Sprinkle the nose with white glitter and let the reindeer ornament dry completely.